Appleton, WI, July 9, 2018 –The Endowment Index™ calculated by Nasdaq OMX® (Symbol: ENDOW) declined 0.41% (on a total return basis) for the quarter ended June 30, 2018. This compares to the S&P 500, which gained 3.43% for the same period. Year-to-date, the Index has declined 0.77%, which compares to the S&P 500, which has gained 2.65% thus far in 2018. The primary thematic economic news of the second quarter, including a strong U.S. economy, rising domestic interest rates, global trade protectionism, and higher oil prices were reflected in the performance of the index’s constituents. Domestic equities and oil & gas were in focus, while emerging markets, particularly China, a primary target of U.S. tariffs lost favor. Ten of the Index’s nineteen components posted gains during Q2, only four of the index’s constituents gained more than one percent. The best gainers included Commodities-Oil & Gas (+17.20%), Domestic Real Estate (+8.83%), Domestic Equity (+3.90%), and Commodities (2.30%). Of the 9 components posting declines, emerging Markets-China (-14.19%), Emerging Markets-Equity (-7.76%), Gold (-5.59%) and Emerging Markets-Fixed Income (-4.19%) were the most significant. Disclosure: Information presented is for educational purposes only and is not intended as an offer or solicitation for the sale or purchase of any specific securities, investments, or investment strategies, nor shall it be construed to be the provision of investment advice. Past performance is not necessarily indicative of future results. Endowment Index™ results are presented net of any underlying constituent exchange-traded fund expenses. Investments involve risk and unless otherwise stated, are not insured or guaranteed. Be sure to consult with a qualified financial adviser and/or tax professional before implementing any investment strategies discussed herein. 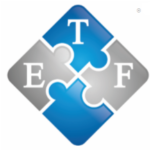 ETF Model Solutions, LLC is registered as an investment adviser with the SEC. ETF Model Solutions is an affiliate of Endowment Wealth Management, Inc., an SEC registered investment adviser. Registration does not imply a certain level of skill or training. You cannot invest directly in an index. Indexes do not contain fees. A copy of the Firm’s disclosure document, Form ADV Brochure Part 2, is available upon request.